There’s a lot to look forward to this spring season – longer days, warmer weather, colorful blooms and of course, more money-making opportunities. Yup, the change in season always brings a number of new ways to earn extra income, whether it’s a seasonal job or business. If you’re interested to make money this spring, here are 7 opportunities that you should take advantage of this season. Turn that green-thumb into a money machine by seeking gardening & landscaping job opportunities. 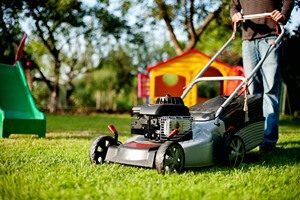 Spring is the prime season for gardening, which means that you can easily offer your services to your neighbors and local clients independently or apply for certain local gardening & landscaping businesses in your area. It’s spring cleaning time! If you don’t mind doing housework for others, why not use this as an opportunity to earn extra cash. Check out Indeed.com, TaskRabbit.com or Craigslist to see if there’s a listing near you. Not a fan of doing housework for others? Home Improvement companies such as Home Depot or Lowe’s hire seasonal workers during spring due to the influx of customers. There’s a variety of positions, including cashiers and loaders. Done with your lawn already? Now, do it for your neighbors in exchange for some extra cash. Many seniors or homeowners who will be in vacation will be happy to pay for your services, I’m sure. Speaking of vacation, resorts will require more employees since they will be flocked by tourists this spring and summer. Positions vary from housekeepers to groundskeepers, fitness instructors to bartenders, valets, etc. Now that the weather’s warming up, everyone wants to head outdoors. Check for seasonal positions in your local attractions such as the zoo, national park, amusement parks, museums, etc. As many families will be traveling during spring and summer, they will need someone to keep an eye on their beloved pets. If you love animals and know how to properly care for them, offer pet-setting services to your family, friends and neighbors. Spread the word by mouth, send out fliers or post on social media to advertise your pet-sitting services. Spring is also a perfect time to do a business. Get a table in your local farmer’s market and sell stuff or apply for a local vendor who needs some extra hand.